Someone’s ready for morning snack time! After a long week, we can’t help but smile when Friday finally arrives! Celebrate the start of the weekend by planning some fantastic activities with your favorite pug! 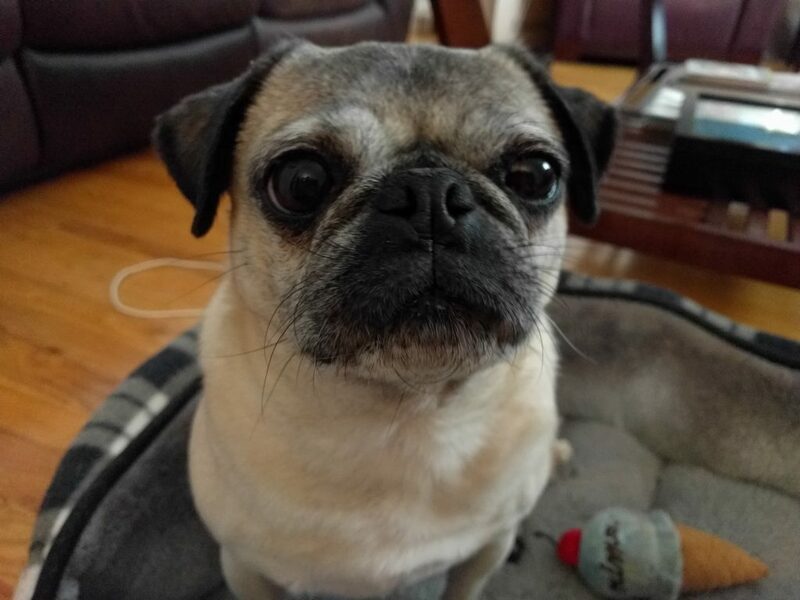 If you are struggling to get your pug to sit, stay, and speak, you are not alone! 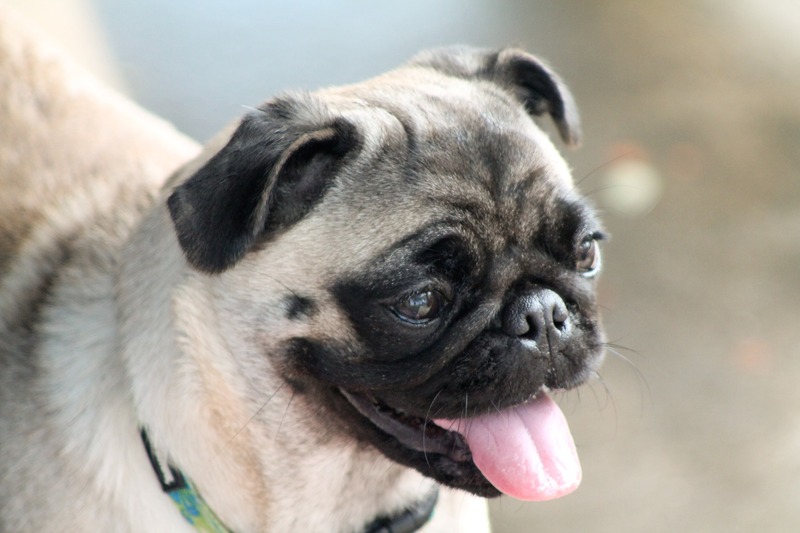 Though adorable and full of personality, pugs are a notoriously stubborn dog breed. It can be easier to ensure a well-behaved pug if you start training early. Preventing your pug from picking up bad habits in the first place is often easier than trying to get your pug to unlearn those unwanted behaviors. 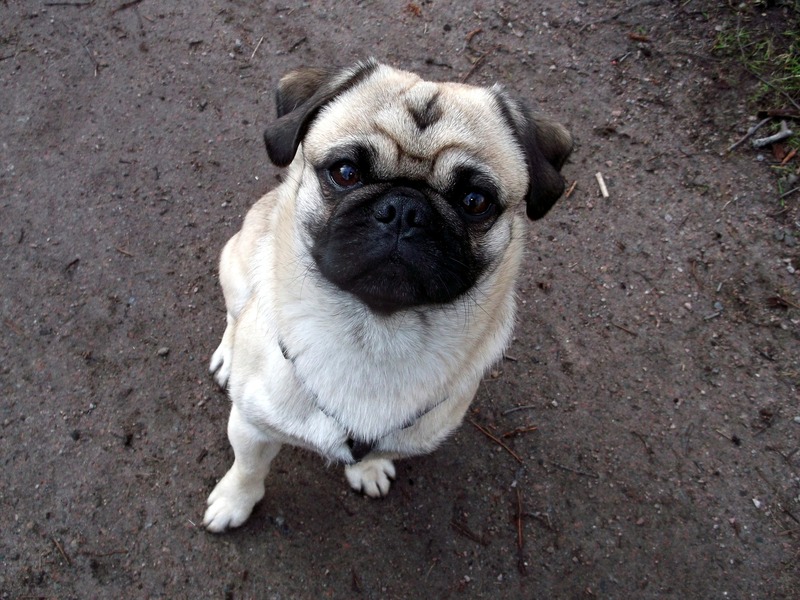 We believe in the power of positive reinforcement as an important training tool for pugs. Positive reinforcement means rewarding your pug when they are behaving well. You can reward your pug with attention, treats, or toys. If your pug is doing something you’re not happy with (like chewing on one of your favorite shoes), it’s important for you to stay calm. Calmly take away the object you don’t want them to chew on and provide them with a toy that they can chew on. Once they are chewing on an appropriate item, reward your pug with pats and praise. This will help them learn what they are and aren’t supposed to nibble on. 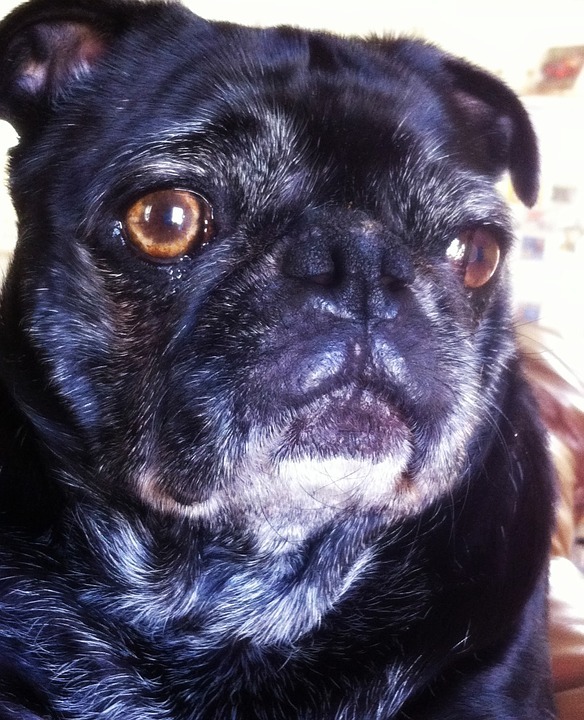 As companion dogs, pugs pay close attention to their owners’ tone and body language. It’s important not to yell, hit, or act aggressively towards your pug when they aren’t behaving well. These kinds of behaviors may cause your pug emotional stress and they may begin to be afraid of you. Pugs love spending time with people, so investing some time in training your pug is a great way to ensure a happy and healthy relationship. 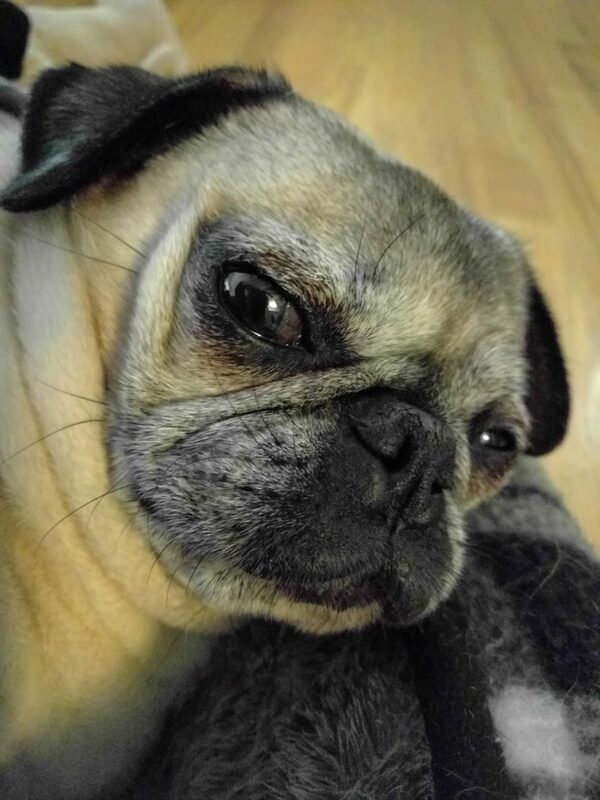 Not everyone is a morning person, and the same goes for pugs! 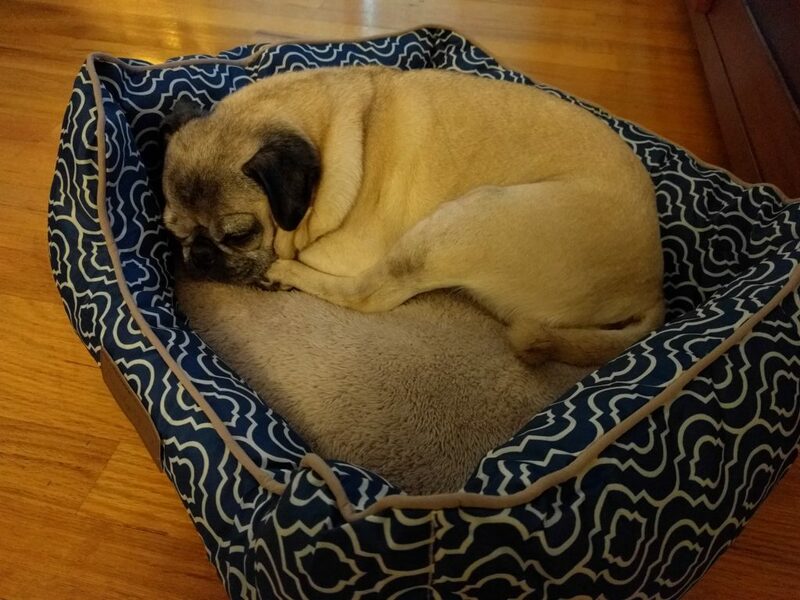 We’ve witnessed our pug groggily slinking out of bed in the morning only to fall sound asleep in a different bed minutes later. This pug seems to be taking a few minutes of quiet time to get his thoughts in order before starting the day.